Using voice for internet searches is a highly debated issue among ground breaking SEO experts. At SMX West 2017 April, Benu Aggarwal had a public session regarding the matter, “Improving Content for Voice Search and Virtual Assistants.” In the session, she shared amazing ideas on how SEO specialists can begin considering and getting ready for an alternate kind of search methodology for voice searches. Mobile devices and smart home gadgets such as Google Assistant, Siri, Alexa, and Cortana are slowly becoming part of our lives. These voice devices coupled with evolving technology makes searching for information easier for individuals just to pose a query and gather all the information they need in split seconds from the worldwide web. This allows for a more user-friendly interaction with the devices utilising a conversational voice. With nothing else but your voice, you would now be able to play your favourite music, turn on your thermostat when it gets cold, scan for the nearest Uber taxi around your neighbourhood and last but not least order items online. 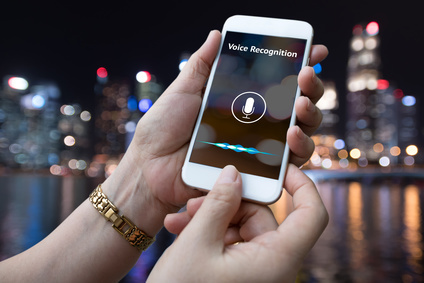 Furthermore, interconnectivity between different gadgets is an intriguing piece of voice search innovation. For example, a Google Home hint can appear on your desktop, giving you counsel on how you can best utilise your Google Voice Assistant device. Voice search is on the rise according to the KPCB 2016 Internet Trends Report which shows that 25% of searches performed on Windows 10 taskbar are voice searches. Siri alone handles more than one billion speech requests every week. On the other hand, for every one out of five searches on a mobile app in the USA are voice searches. Last year, over six million voice-enabled devices were shipped, with the number expected to rise in 2017. SEO experts are now tasked with how to create content and SEO strategies that will utilise voice search. With the growing popularity of search engines in the mid-1990s, individuals have figured out how to compactly enter catchphrase expressions to obtain information on the web utilising a PC. Voice search unlike a PC that performs a search using typed keyword phrases is a bit more conversational and regular in tone. Additionally, Voice Search is usually portable and frequently privately engaged. For instance, a mobile device can tell your physical location and locate any nearby points/items of interest that may be around you and even when you switch locations it will adjust the search results to suit the new location. 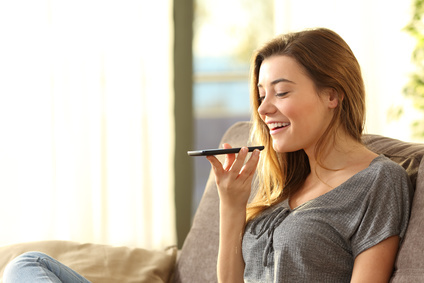 Since voice devices are informal, voice search inquiries are likewise frequently longer than commonplace content search queries. It’s essential to recall that the entire reason for these innovations is for the mobile device to give the best outcomes to a search query. To achieve this capability, the gadgets attempt to discover effortlessly identifiable, short and pertinent bits of results to give back. Here are a few tips that can enable you to stay ahead of the pack and make the most of the voice search for your SEO. How Updated are you with the Latest Search Trends? As per the Internet Trends Report 2016, individuals are utilising voice for an assortment of information inquiries. With over 20 percent looking for localised content and data, local enterprises need to begin strategising for native voice search. On the off chance that you haven’t collected your Google My Business Posting yet, now is the ideal moment. Claiming and improving Google My Business is an awesome method for Google to discover more information about your enterprise, similar to the classification of business you’re in, your physical address, telephone number and the hours of operation that you operate under. Due to the localised nature of voice searches, claiming your Google My Business posting and keeping it up to date, can help double your odds of showing up when a voice search is conducted relating to your native business, area or business classification. Keyword phrases in the voice search are long-tail+. The “+” alludes to the conversational expressions that you have to include while advancing for conversational voice search. The keyword procedure should be more user-friendly and copy how good individuals talk and make inquiries verbally. Begin contemplating the sorts of queries you get when clients call you on the telephone to make inquiries about your business, at that point, begin archiving and recording the right words they utilise when they converse with your client support representatives. With a list of inquiries and explanations your clients provide via telephone, you would then be able to begin making content pages that linger on longer conversational search terms. An incredible approach to utilise the previously mentioned client information is to make FAQ pages that emphasis on those long-tail+ conversational catchphrase phrases. Endeavour to gather common inquiries in agreement. Go for reasonable sounding questions and expressions rather than the old SEO-keyword search phrases you’re likely used to utilising. Likewise, foresee more straightforward inquiries from searchers. Ventures like “best-advanced camera” will begin to vanish, and hyper-particular pursuits will turn out to be more well known. Illustration: “Alexa, where would I be able to locate a waterproof camcorder that works with Facebook Live?” Offer quick, compact responses to questions that voice searchers are inquiring. Utilize organised information increase (applying the right compositions) to give these voice search gadgets considerably more data about your site and substance. Organised information increase from schema.org is urgent for your site, as it characterises more particular data and makes it simpler for web search tools to precisely scrutinise your content and comprehend its unique circumstance. Please comment your thoughts below! This entry was posted in Keywords, SEO, Tips on September 25, 2017 by Pinnacle.